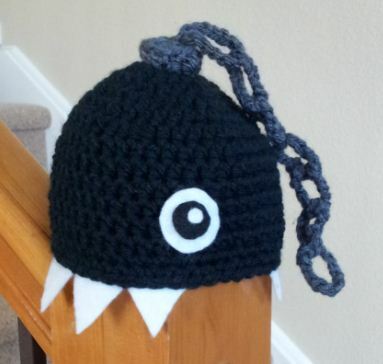 As promised, I'll be giving away the Mario Chain Chomp baby hat I made for Dexter's photo shoot. With a 14-inch circumference, it's sized for preemies and newborns, and is made out of 100% acrylic yarn with felt appliques. The contest will be open for two weeks until September 3, and the winner will be announced the following day. Best of luck to all of you! Fantastic hat. Wondered if you sold the pattern to it. 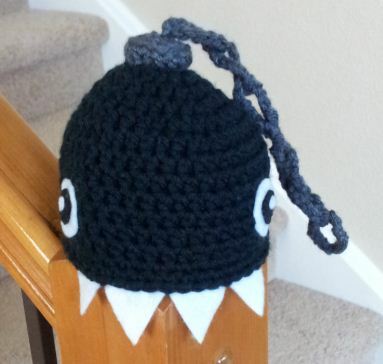 I have a friend whose son loved it and I would love to make it for him as a gift. Thank you so much Anne. I really appreciate your help so much!